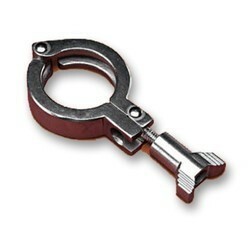 Our Customers can avail Refractory Clamps which are made from a quality approved of raw-materials. More over these range of products can be available in market with a very cost effective price across the globe and can be customised as per client specifications. 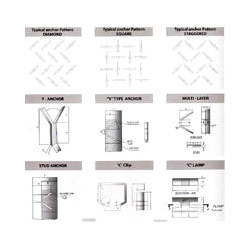 Based on our industry experience we offer a complete customer satisfaction IndustrialStainless Steel Clamp made of grade of materials, dimensions, spacing patterns and welding methods. These are custom made to suit every client’s specification.Using latest technology machines in the manufacturing of stainless steel clamps have 66% to 75% of the lining depth, whereas the spacing depends on material type, operating conditions and physical characteristics of the unit. They assure the smooth function and maximum output. Our products are used in many industries for diverse applications. Stainless Steel Clamps are used in various industries, available in different grade of materials, dimensions, spacing patterns and welding methods. They are available in various sizes as per the specifications given by our clients and have 66% to 75% of the lining depth, whereas the spacing depends on material type, operating conditions and physical characteristics of the unit. This is produced using premium quality materials and according to the quality standards. Looking for Refractory Clamps ?